What connects garbage dumps in New York, bomb sites in Baghdad, and skyscrapers in São Paulo? How is contemporary visual culture – extending from art and architecture to film and digital media – responding to new forms of violence associated with global and globalizing cities? 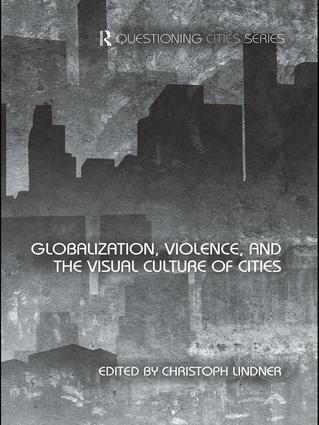 Addressing such questions, this book is the first interdisciplinary volume to examine the complex relationship between globalization, violence, and the visual culture of cities. Violence – in both material and cultural forms – has been a prominent and endemic feature of urban life in the global metropolitan era. Focusing on visual culture and offering a strong humanities perspective that is currently lacking in existing scholarship, this book seeks to understand how the violent effects of globalization have been represented, theorized, and experienced across a wide range of cultural contexts and urban locations in Asia, Europe, North and South America, and the Middle East. Organized around three interrelated themes – fear, memory, and spectacle – essay topics range from military targeting in Baghdad, carceral urbanism in São Paulo, and the Paris banlieue riots, to the security aesthetics of G8 summits, the architecture of urban paranoia, and the cultural afterlife of the Twin Towers. Globalization, Violence, and the Visual Culture of Cities offers fresh insight into the problems and potential of cities around the world, including Beijing, Berlin, London, New York, Paris, and São Paulo. With specially-commissioned essays from the fields of cultural theory, architecture, film, photography, and urban geography, this innovative volume will be a valuable resource for students, scholars, and researchers across the humanities and social sciences.